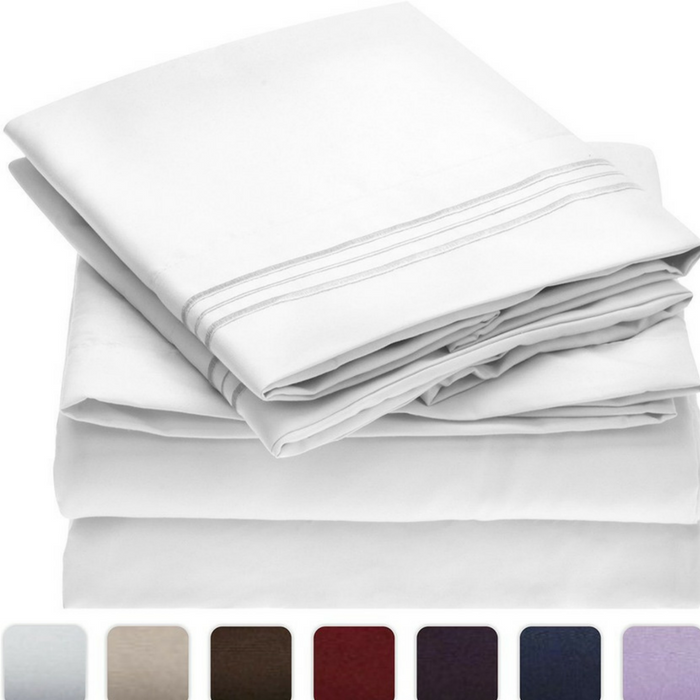 Mellanni 4-Piece Bed Sheet Set Just $24.70! Down From $60! You are here: Home / Great Deals / Amazon Deals / Mellanni 4-Piece Bed Sheet Set Just $24.70! Down From $60! Hop over to Amazon to get this # Best Selling Mellani 4-Piece Bed Sheet Set for just $24.70 down from $59.99 PLUS FREE shipping with Amazon Prime or for orders over $25! Mellanni Fine Linens wraps you in elegance, luxury and comfort. Indulge in silky soft, 100% brushed microfiber carefully crafted in every detail. Microfiber sheets are breathable, keep moisture, dust mites and other allergens away, hypoallergenic. This is the perfect bedding sets for adults, kids, toddler, teen girls and boys. A great gift item for friends and families! FEEL THE DIFFERENCE -Sleep better and wake up each morning feeling refreshed and full of energy. Silky soft, most comfortable and luxurious bed sheets you can find. Best for any room in your house – bedroom, guest room, kids room, RV, vacation home. Great gift idea for men and women, Moms and Dads, Valentine’s – Mother’s – Father’s Day and Christmas.